Today is Day 22 of this 31-day writing challenge! Today also is the feast day of an incredible—and brand new—saint: St. John Paul II. 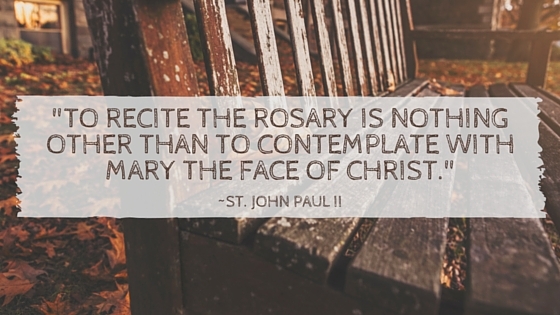 St. John Paul II is known as a “Marian giant,” meaning he had great devotion to Our Blessed Mother and taught prolifically on her role in our faith. In fact, the motto of his entire 27-year papacy was Totus Tuus, which is Latin for totally yours, referencing his belonging to Our Lady, and based on the consecration prayer by St. Louis de Montfort, found in True Devotion to Mary. 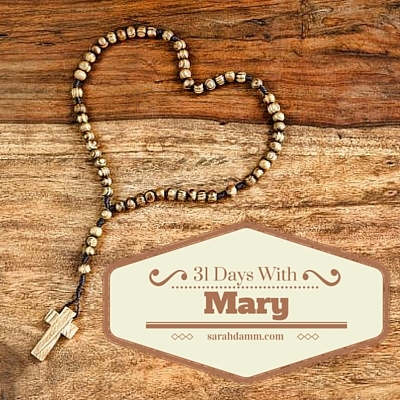 I mentioned my own Consecration to Jesus through Mary on Day 2. I had longed for a deeper relationship with Our Blessed Mother for quite some time, but I admit that the 33-day process of consecration seemed overwhelming. What truly helped me take the step was the book 33 Days to Morning Glory by Fr. Michael Gaitley. I don’t even remember how I heard about it, but I do recall ordering three copies and telling my husband and my mother that we needed to do this. We started the book during the 2012 Easter season. It really was a personal journey for each of us, but we occasionally talked about the readings. Making the final consecration to Jesus through Mary, at the end, was very peaceful and powerful. I have read the book and renewed my consecration three times now, and I have even gone through the group study, which increased my understanding and appreciation of Our Lady even more! 33 Days to Morning Glory is a beautiful approach to Consecration to Jesus through Mary. It is a self-guided retreat, in a sense, where you truly “ponder in your heart” Mary’s role in Salvation History and her role now in bringing us closer to Her Son, Jesus. 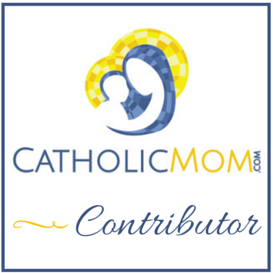 It takes St. Louis de Montford’s method and expands upon it with the devotions of other Marian saints: St. Maximillian Kolbe, Blessed Mother Teresa and St. John Paul II. Throughout the book, I felt like I not only grew in my understanding of Our Blessed Mother but also in my own relationship with her. I also came to know some incredible saints, and although they are well-known, I definitely got to know them better through these readings. If you have considered Marian consecration, 33 Days to Morning Glory is a gentle book that is totally doable in the midst of a busy schedule. You will feel as if you have a daily coffee date with Mary! Just picture it: sitting on the front porch, next to Mary, in a set of rocking chairs, chatting away. And you will be so excited to meet up with her again the next day in the readings. If you already are consecrated to Mary, this might be a nice supplement to deepen your devotion. Loved, LoVeD, LOVED this post as I renewed my Marian consecration with 33 Days to Morning Glory in the Fall of 2012 and then facilitated the group retreat at our parish the following summer. I now find that I’m keeping extra copies of the book on hand and keep giving them away when the Holy Spirit prompts me. There’s no doubt in my mind that Mama Mary is up to something beautiful and profound!! God Bless you on your continued journey!! 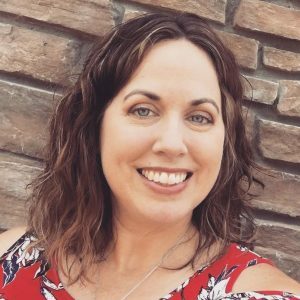 Pingback: Day 1 :: 31 Days With Mary—Welcome!